Fantastic Four returns this week after a long layoff and we’ve been celebrating the First Family’s illustrious past (click here). So who better to tackle the epically bad epic than Rob Kelly – he of our REEL RETRO CINEMA column? 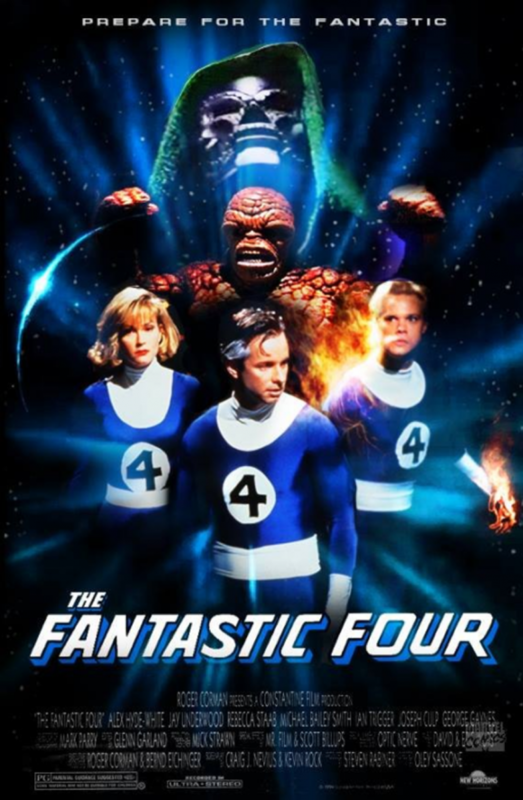 To celebrate the return of the Fantastic Four to the pages of Marvel Comics, 13th Dimension major domo Dan Greenfield asked me to review Roger Corman’s infamous 1994 attempt at a live-action FF film. Presumably I have done something to anger him, and this is his passive-aggressive way of getting revenge on me. But since I want to keep writing REEL RETRO CINEMA columns, I guess I have no choice. So, suit up, everyone, this is going to be a bumpy ride. I remember my reaction was two-fold. First, wow, this is really happening—there’s really a Fantastic Four movie! Second, wow, this does, uh, not look good. What’s with the weird face Johnny is making? Why does Sue look bored? Those costumes look kinda cheap. Is this what a Fantastic Four movie is going to look like? And then…nothing. I basically never heard of the movie again, as if it had never existed. Marvel never brought it up, it was certainly never released, so, as much as I thought about it (which wasn’t much — I had the utter collapse of the Batman movie franchise to worry about), I assumed the movie was never finished. Then one day I saw a bootleg of it at a comic con, and was floored—wait, this movie really exists? There’s a Fantastic Four movie out there and no one’s talking about it? How can this be? I bought a copy and brought it home. For those who haven’t seen it, The Fantastic Four stars Alex Hyde-White (Reed Richards), Jay Underwood (Johnny Storm), Rebecca Staab (Sue Storm) and Michael Bailey Smith (Ben Grimm) as our heroes who go up in an experimental spacecraft and get hit by cosmic rays emitting from a passing comet, yada yada yada, you all know the story. Reed has a college friend and pseudo-intellectual rival, Victor Von Doom (Joseph Culp), who is presumed dead after getting caught in an experiment he and Reed tried during the rare passing of the aforementioned comet years before. For some unfathomable reason, another character called the Jeweler (Ian Trigger) is inserted into the classic Fantastic Four origin story. He swaps a rare diamond used in the original mission, and later ropes in a despondent Ben Grimm after he has been transformed into the Thing. Later still, he tries to put the moves on blind sculptor Alicia Masters (Kat Green), and works out a deal with Dr. Doom to trade the valuable diamond so he can use it to power a laser cannon that will destroy New York City. After the gang gets their powers, the film toggles between these three storylines: the Fantastic Four learning to be heroes, Doom’s quest for revenge, and whatever the hell the Jeweler is doing. Let’s get right to it: The Fantastic Four is a terrible movie. Made entirely so the producers wouldn’t lose the rights to the property, the film was never really meant to be seen, a little fact not shared with the actors or director (Oley Sassone). While we all know that bigger budgets don’t always equal a better movie, there’s simply no way to make a Fantastic Four movie for $1 million dollars, which is what Corman’s production company had to spend. Shot on under-lit sets that look like the interiors of a warehouse (which they probably were), with costumes that wouldn’t garner a second glance at a comic con, The Fantastic Four looks like what it is: an amateur production trying to pass itself off as a big-budget blockbuster. What strikes me hardest about the movie, however, is stuff that doesn’t really have to do with the budget. Being creative is free, and so I, uh, marvel at many of the decisions made here. If The Fantastic Four was made simply as, essentially, a legal maneuver, why swing for the fences like this? 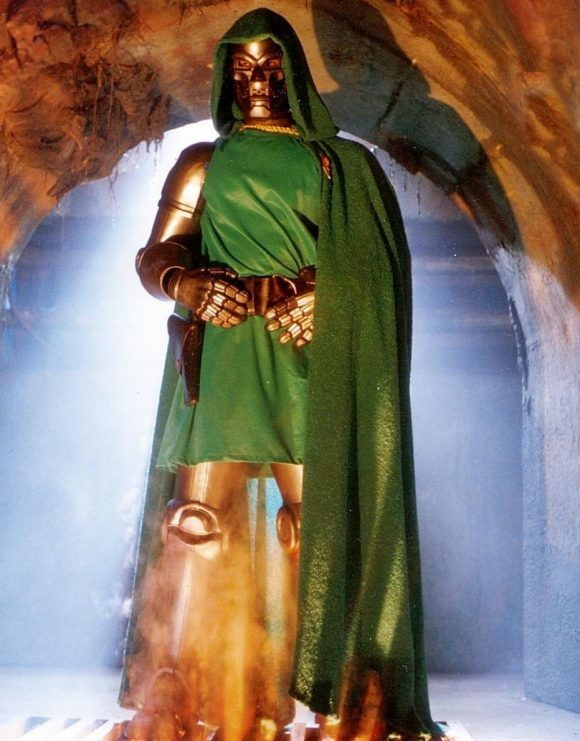 Why even include Dr. Doom, to say nothing of a second, completely superfluous, villain? Why not make Reed, Sue, Johnny and Ben plainclothes secret agents or something — something on a scale that could have been manageable on a limited budget? Why not scale the story way down and make it more of a character piece, so the obvious budget shortfalls wouldn’t be so noticeable? Why add a second super-villain that has never been part of FF lore and spend all that money for actors, sets and make-up? During its short, 95-minute runtime, there are other examples of the movie frittering away its limited resources. 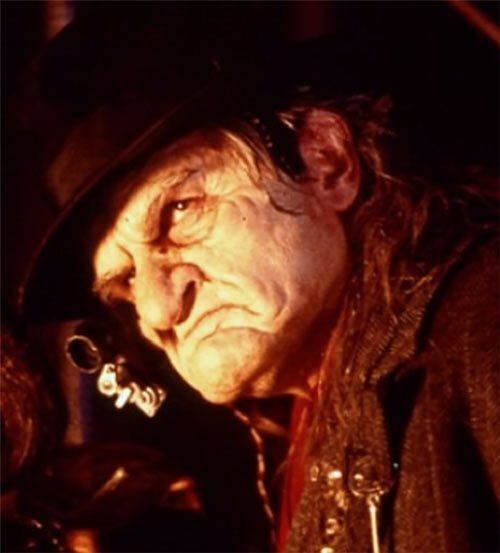 A lot of screen time is given to the Jeweler’s henchmen, as if we care about any of them or their mission. When we first meet Sue and Johnny, they’re little kids, and we see Sue has a crush on the (much) older Reed, making their inevitable romance seem icky. Again, why? Have the four be friends as adults from the beginning and that’s two less actors you had to pay. 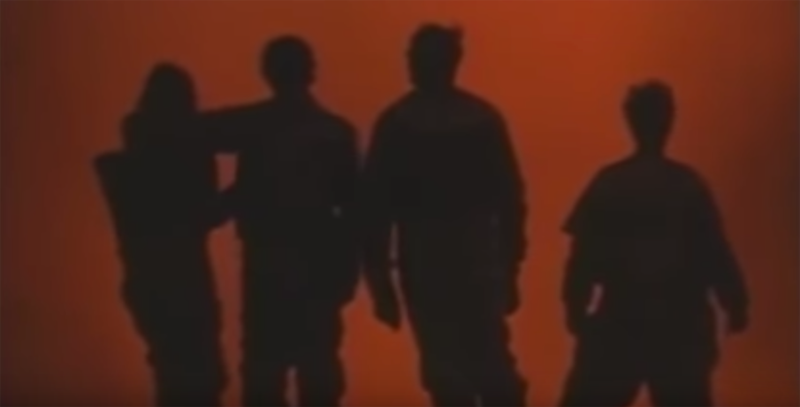 With all that said, I find my reaction to The Fantastic Four similar to the one I have to the 1997 unaired Justice League TV pilot: I strangely find it impossible to hate. The actors and crew had the deck stacked against them so badly from Day One that I appreciate how hard they’re trying. White, Staab, Underwood and Smith do the best with what they’ve been given, and they have an easy informality with each other that suits Marvel’s First Family. Since the Invisible Girl’s powers were, presumably, the easiest to pull off, Staab feels the least awkward when using them—unlike Mr. Fantastic and the Human Torch, who basically have to stand perfectly still while a cheapjack stretching or flame effect is dropped in on top of the actors. The movie’s biggest special effect — the suit designed for the Thing — is pretty weak. It’s clearly foam rubber – at one point when he’s punching someone, you can see a hole has opened in his armpit — and when the other actors touch it you just know none of them thought to react as if they were feeling a hard, scratchy surface. 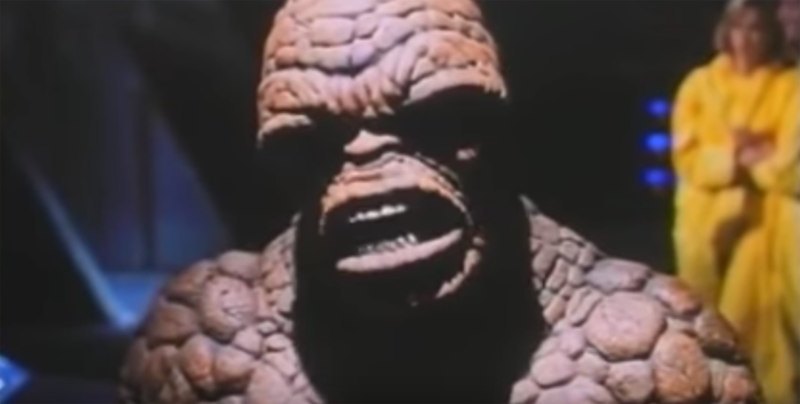 At the very least, the Thing talks like the character we all know and love, and the movie does its best to convey how powerful he is. Unfortunately, I wonder if the film’s meager budget wasn’t front-loaded, because the money problems really become glaring during the final scenes. The Human Torch’s big moment to save the day is done via animation that is laughably bad, as is the film’s final shot of Reed’s stretched arm waving goodbye when he and his new bride drive off after they get married. I actually kind of like Reed and Doom’s final scene, even if the severed hand gag makes no sense if you know anything about Dr. Doom (in that he’s not a robot!). One positive note to end on: Of course, there have now been numerous attempts at live-action Fantastic Four movies, none of which (IMO) have come close to translating the magic and wonder of the original comics that launched a pop-culture empire. Does that make this film look a little better, knowing people with a lot more resources couldn’t pull it of either? 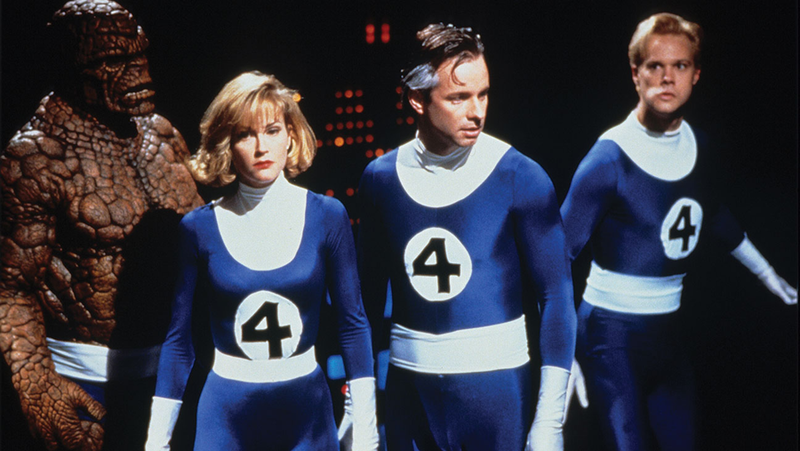 Not really, but I will say this: 1994’s The Fantastic Four features one scene that I genuinely, unapologetically, think is good. After their ship has crashed, our fantastic foursome wake up and ponder what has happened to them. The music swells over a shot of four silhouettes, and just for that one, brief second I felt like it captured the wonder of endless possibilities so inherent in the best of Marvel comics. It’s a stirring moment, and I didn’t find anything even close to matching it in the three subsequent big-budget Fantastic Four cinematic excursions. You can find the entire Fantastic Four movie on YouTube, which is where it belongs. But I highly recommend Doomed. It’s an honest, entertaining look at the amazing story behind the flick. Let’s hope now that the film rights to the Fantastic Four are back in Marvel’s hands, we finally get a movie worthy of these great characters. The MCU’s Phase Four, perhaps? Great article as always, Rob. I like this movie more than I should. I always say “It’s heart is in the right place”. And I really believe that. All involved seemed to be doing their best, in the hopes that some miraculous post-production magic will put their sincerity across. It doesn’t happen, which is sad. In many ways, this film is a lot like Superman IV: The Quest for Peace in that respect. It was a 70’s movie released in the 90’s. You say,” Let’s get right to it: The Fantastic Four is a terrible movie. Made entirely so the producers wouldn’t lose the rights to the property, the film was never really meant to be seen, a little fact not shared with the actors or director (Oley Sassone)….” who was in on the dare I use a current term false flag (opps does not sound right) deception ? That is the story. Ok. You end up being fairer to the production than you announce it as being “a terrible movie”. Why do we, FF fans, keep bashing their movies, as imperfect as they are? Out of masochism? We know the purpose and the reasons of the existence of this one. Let’s celebrate the better elements in each of them, as “Rise of the Silver Surfer” one was quite up there to my critical eye, nevertheless a silly scene or two. Now, these scenes annoy me as much they might annoy you. But then, let’s look at the bright side of them films. A whole generation of kids are aware of the FF because of these movies, and grew up to love them. They don’t necessarily have our expectations as we do as fans. The Tim Story ones are still entertaining, even if a bit lightweight. Of course, the ideal FF movie remains to be made, and I certainly hope that Marvel puts a more definitive version on screen with the Skrulls, the Mole Man, Sub-Mariner and Galactus. Enough of Dr Doom for a while; their rogues gallery is rich enough to keep the evil doctor for the dessert.